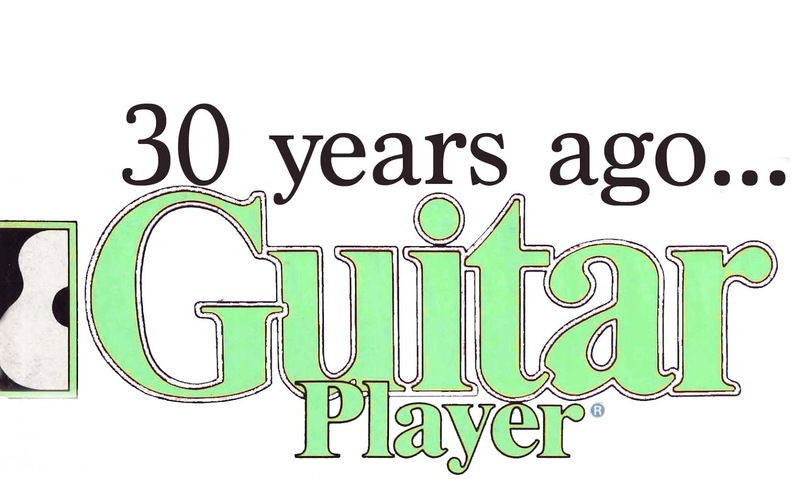 October, November and December 1988 were very busy times in my life, and guitar wise, they were packed with exciting developments. I made friends with more guitar players than I’d ever known before, all of whom exposed me to music I’d never heard, and I even joined my first band! We pretended to be a German heavy metal band named Bräïnhämmër, with the Led Zeppelin biography Hammer of the Gods and the movie This is Spinäl Täp as our foundational texts. Unfortunately the group never performed live, but I was so excited to play rhythm guitar in a band of a bunch of 4th year students (one of whom was a music major, and all of whom were really cool). I was also busily adjusting to life on my own and to a challenging college curriculum, so my hands were full without having lots of time to read GP. 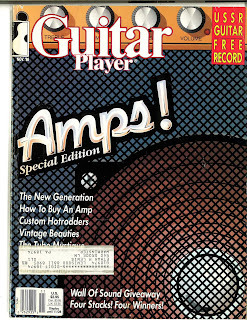 While I’m sure that I read the Guitar Player magazines as soon as they arrived in the mail (from my parents, as the issues were still sent to my home in Pennsylvania), the issues aren’t very memorable, and re-reading them now shows me that they were rather odd issues that don’t stand up very well. 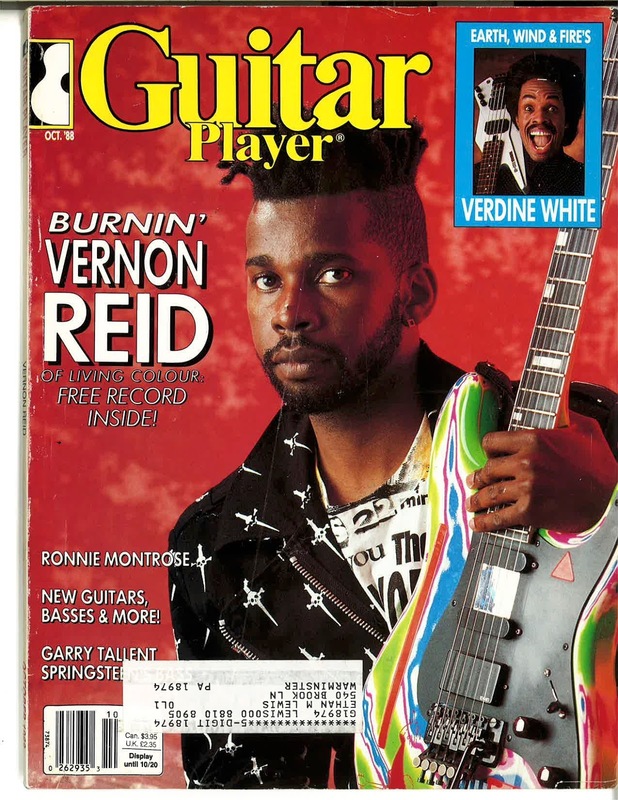 The October issue had a NAMM report and an interesting article about Vernon Reid (whose band, Living Colour was riding high on the hit song “Cult of Personality”), but nearly every other article was about bassists. Great bassists, mind you, but still. Rereading the issue didn’t really give me many important insights. One of my new friends was an aspiring metal guitarist who basically spent 6-8 hours per day playing scales and arpeggios in his room (he built up great dexterity, but had little musicality, and never played in front of an audience). I remember that he used to heckle me about “Burnin’ Vernon” and complain about his “sloppy, sloppy” technique. 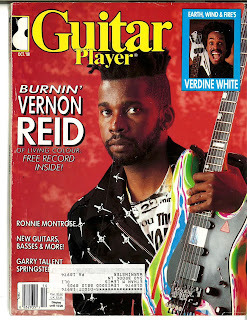 Whatever–at least Vernon Reid is an actual musician who uses his gifts to communicate with the world. 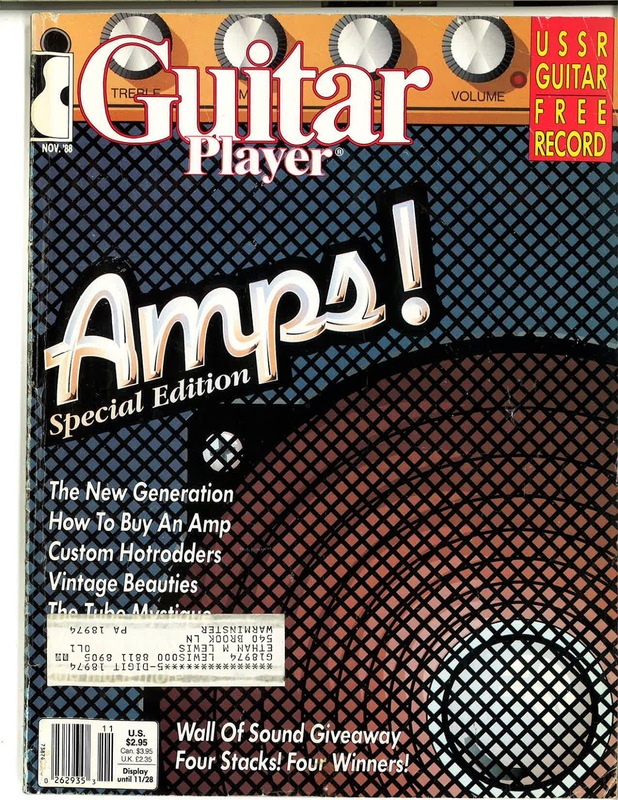 The November issue had LOTS of information about amplifiers. At the time, this would have been a great tutorial, but nothing in the magazine can’t be learned now from a Google search (or even Bing) and even the “Marshall Factory Tour” segment’s black and white pictures pale in comparison to the many factory tour videos available nowadays. I actually revisited this issue back in 2013 when I bought a vintage 1987 Marshall amp–it was cool to see the factory where it was made! But except as a historical record, it doesn’t really stand up; all of the “new” amplifiers they discuss are at best “vintage” now, and more likely, undesirable and unsellable on Reverb. 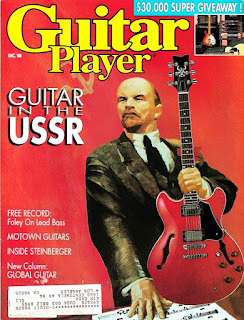 The December issue had an article about guitar in the USSR, which makes for an interesting historical artifact, I suppose, and an article about Foley, the lead bass player in Miles Davis’ band. Foley was badass, and in many ways took ideas that Miles had going back to his abortive vision of playing with Hendrix and updated them. There was also a very good article about Motown, which is the first place I learned about James Jamerson. In retrospect, it is CRAZY how much space the magazine spent on bass players at the end of 1988! But otherwise the issue itself was really skinny and seriously boring. I wonder if the company that published the magazine was going through a rough patch at the time? 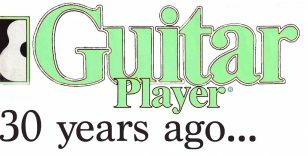 It’s interesting–I eventually gave up my Guitar Player subscription in 2007 after YEARS of complaining about how boring and shallow the magazine had become. But looking back, the magazine DEFINITELY had a rough period at the end of 1988. I’m glad I was too busy then to notice, and that I kept my subscription alive, because I definitely learned a lot from the magazine in the years to come. 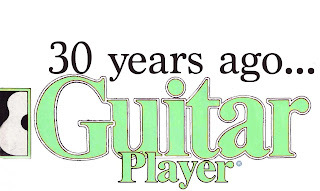 Anyway, I’ll be back in January with the first issue of 1989 (also much thinner than issues from the previous two years), featuring the annual Reader’s Poll results, a nice article about Les Paul, and a thought-provoking article by Joe Satriani. I’ll also have a playlist for your listening pleasure. Until then, keep on picking!